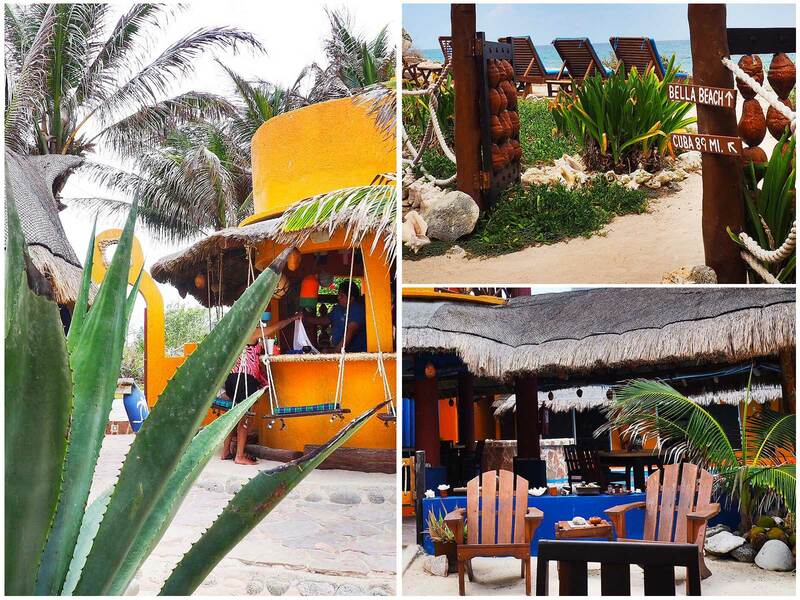 Situated on the desolate streets of Isla Mujeres is a sign on the side of the road promises “beer so cold, it will make your teeth hurt”… This was reason enough for me to slam on the brakes and turn our golf cart into the parking area as fast as I could. 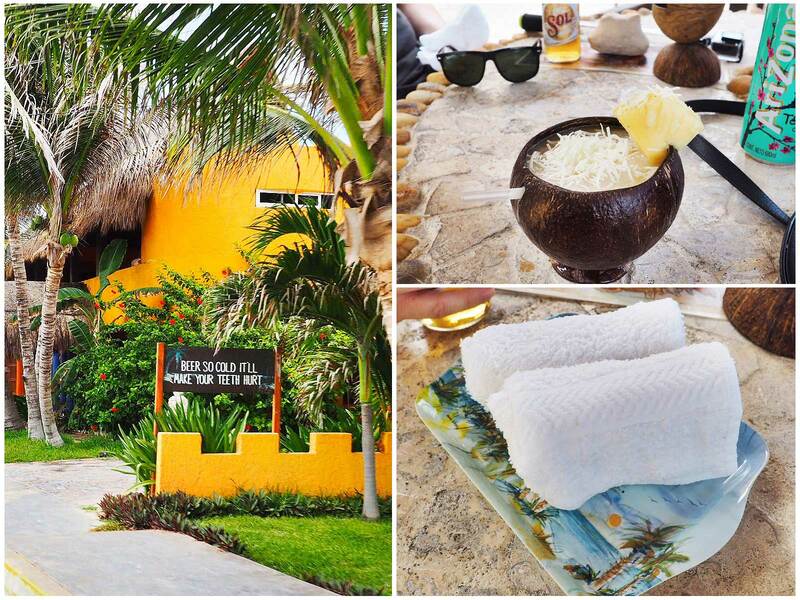 Palapas positioned about, bungalows surrounding the pool area and a cool ocean breeze brushes your face. Villa La Bella is a slice of paradise with a side of amazing views. We’ll the sign promoted cold beer so thats what I went for. Cerveza SOL was only $2.50 usd a bottle and I love cold Mexican beer with a lime. 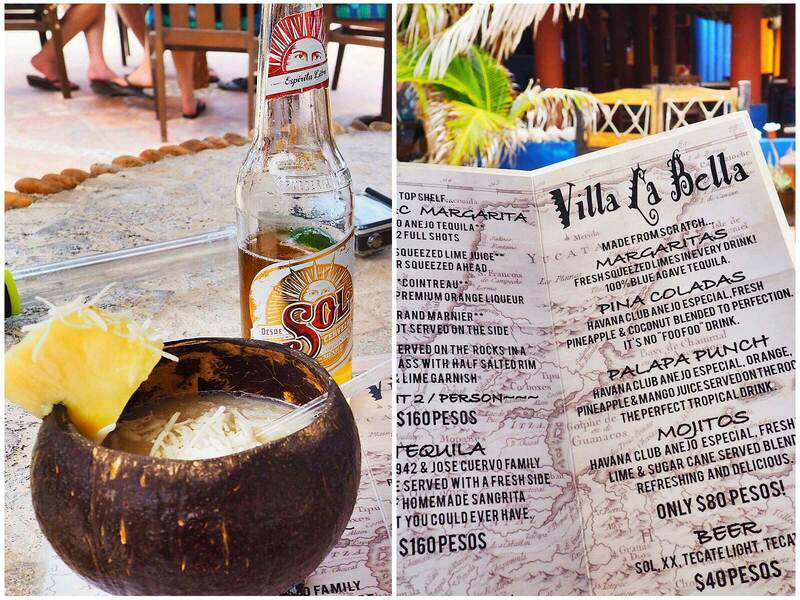 Sadey tried the Pina Colada which was served up in a coconut, it was actually really good. I tend think based off the quality of the Pina Colada, that all the drinks here are tasty. They had food here too, but we didn’t order any. Very friendly and attentive yet kept out of our way. The staff members brought us our drinks and ice cold wash cloths for a cool down. Well, the beer didn’t make my teeth hurt but it sure did quench my thirst. This place was a really low-key spot to recharge and kick back. I would like to check out the rooms here. Only downside is that their exchange rate is 10 to 1, where market rate at 15.5 to 1 so my advice would be that you pay for everything in pesos to save on the house mark-up. Bottom line is I will be back. Have a favorite bar or watering hole that needs to be featured on Ben’s Best Bars? Email me here and I’ll check it out when I pass through. Until Next time….Cheers! We tried this place and loved it. Thanks for the heads up. Unfortunately we didn’t have the same experience you did. Bad service and overpriced drinks. Nice post, looks like a great place…. Keep up the great work Great work.